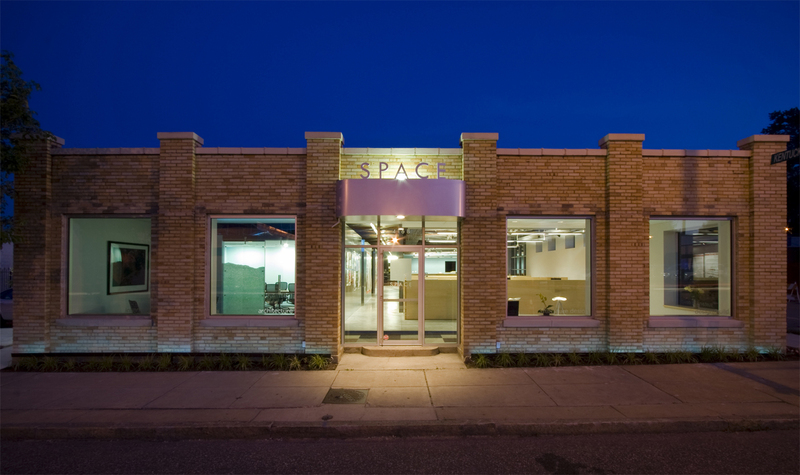 In Part One, SPACE was born and flourished into a successful architecture firm: we had a growing staff; our offices spread into a second building across the street (a SPACEstation….nyuk, nyuk); SPACEconstructors began; we had money in the bank. But growing pains started with the recession of 2008. The phones stopped ringing, work dried up, and the ebb and flow of the business cycle? Nothing but ebbs. This terrifying slump is what I’m going to talk about here. In 2012, there is little doubt, things are improving, but I still want to take the opportunity to document the experience and share what we went through — and most importantly — what we learned from this whole white-knuckle ride that is just now slowing down. As we move away from those years of desperation, memories tend to get repressed and replaced with cautious optimism, and I want to record our story of survival before it’s forgotten. We are one of the few firms that made it through the recession intact, and I’m proud of that. In 2007, I had taken on a business partner, Mike Benz, who had contacts in the developer market. I hoped he could bring new business to SPACE. In the meantime, we were in negotiations to bring on another senior architect, Steve Hunsicker, and his two primary team members, the Elizabeths: Elizabeth Kohl and Elizabeth Cockrell. Steve had developed a strong relationship with Ranken Jordan Pediatric Hospital, which represented potential health care work, and this was one of the few growing areas of the business at the time. Bringing on Steve and his team represented a significant payroll increase with only the prospect for more work. The negotiations with him lasted for six months before he and the Elizabeths came on board. Since our leases were expiring and we really wanted to own, we decided to buy and renovate a bombed-out building in the Grove for our new offices. Also? We were doing all of this with a seriously fracturing pipeline of work. What happened next? The longest three years of my life. Was it all bad? Not at all. We bought the aforementioned decrepit building and renovated it into a beautiful modern office, with a one-of-a-kind alternative energy system. We won two more AIA Design awards, for Bobo Noodle House and Chill. We lost only three people due to workload, which is nowhere near as bad as many of the design firms in St. Louis. Much of that is due to Steve, who managed to land a few larger projects that helped pull us through largely intact. So what did go wrong? For endless months in a row I didn’t know if I could make payroll. Fortunately, we never missed one but we cut hours for staff, which cut their pay. Raises, bonuses, 401k match? All gone. Instead of calling clients to follow up on work we’d done, I was calling to collect payments. Daily we waited for the mailman, hoping the check that was promised would be in there. Where we once enjoyed money in the bank, we now lived on the bank’s line of credit. And credit cards. And my personal retirement accounts. The annual (*cough* legendary *cough*) Cinco de Mayo party was canceled until further notice. Marketing and advertising budgets were drastically scaled back, and we began to rely more on (free!) outlets like social media. Where the office used to enjoy a happy, carefree vibe, it became more reserved and cautious, as though everyone was aware of the nameless elephant in the corner of the studio who reared his big gray head every two weeks when payroll was due. Does this sound familiar? But we survived. We did what we had to do to keep the doors open. We took on jobs no matter how small. A woman called because there was a dust problem in her home. Turns out her attic insulation was falling through the air vents and light trims. We fixed her insulation problem. It just so happens she is a professor and author, currently writing a book on “Sustainable Economics”. After she heard about our “sustainability” with our eco-friendly heating and cooling system, she put us in her book. So now SPACE is in college textbooks! Weird things happen like that when you just say YES. Despite the fleeting bright spots, there was plenty of tension in those three years, both professionally and personally. The stress and scramble of trying stay afloat for so long can wear you down, and it did. Hundreds of sleepless nights. The partnership with Mike Benz ended. So did my marriage. My personal savings had been liquidated. As 2010 slowly ground to a halt, little did I know, the first rays of sunshine were beginning to peek over the horizon. Up next: Part 3 – To Infinity and Beyond! This was definitely a hard time to go through. So glad that it is behind you and things have turned around. Keep writing!! !I’m ready for Part 3.